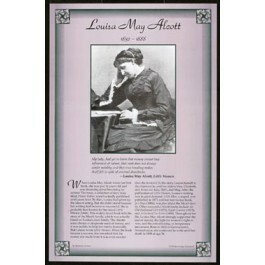 This unique educational poster features a photo of the great 19th century American writer Louisa May Alcott, as well as a quote from "Little Women," and concise biographical text summarizing her life and career. 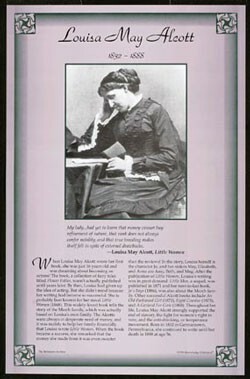 Louisa May Alcott's most famous work is "Little Women," a book that became a great success in her lifetime. She was also known as a strong antislavery and women's rights advocate. This poster is a great way to introduce students to this classic American author.